If the freezer thawed, the ice cube (or cubes) would partially or completely melt from their original shape. The result would either be a badly misshapen cube or a melted and re-frozen puddle on the bottom. You might also simply put the cubes in a small Rubbermaid container. Freeze a cup of water. Place a coin on top. If the water remains frozen, the coin will stay on top of the ice. If it melts, then the coin will begin to sink into the cup. 1. Don’t open the freezer! 2. 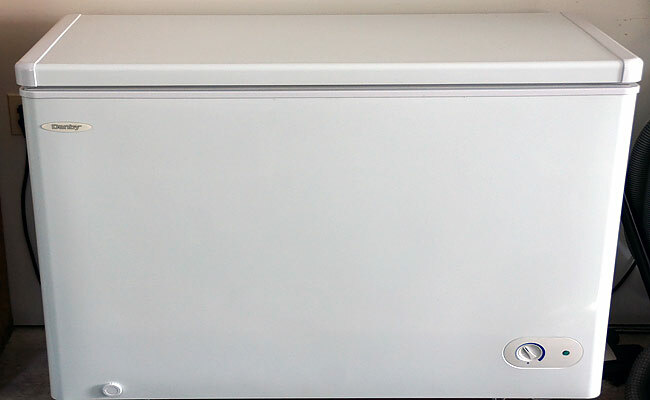 Cover the freezer (drape it) with several blankets (the more the better) which will help insulate it further. Be sure not to cover the motor vent or vents, so when the power comes back on they will not be obstructed. 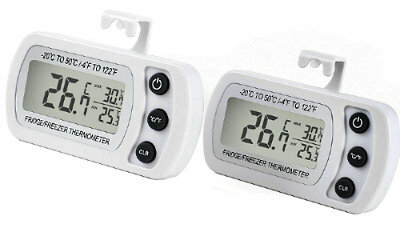 The more full your freezer, the longer it will all stay frozen when the power goes out. Food in a full freezer will stay frozen for about 48 hours without electricity. 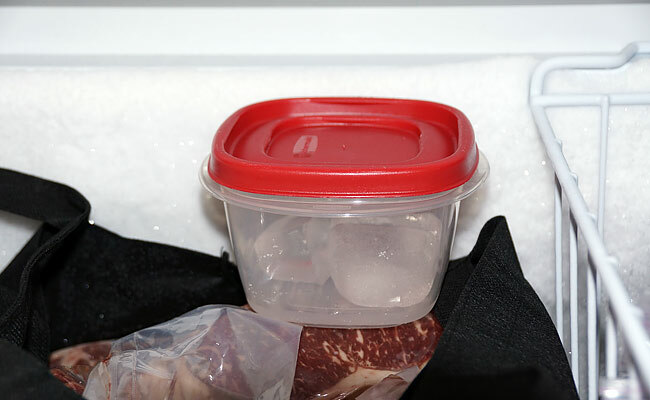 Food in a half-full freezer may remain frozen only 24 hours. 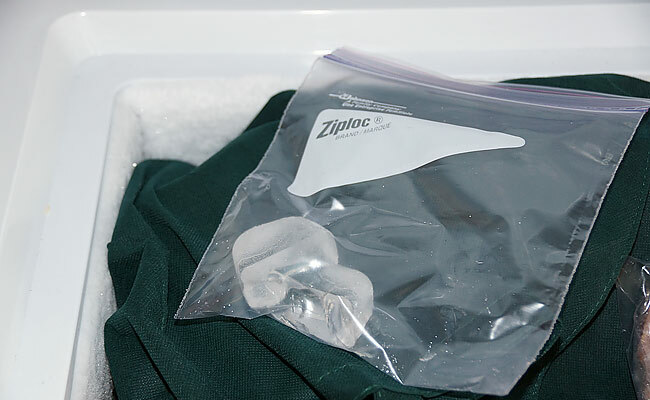 If freezer food has partially thawed, or is still below 40 degrees F, it is safe to re-freeze. – start eating your frozen food! – give some away, have a neighborhood block party?